Today I’m sharing this anniversary card that I made for my sister to give to her brother-in-law and sister-in-law. 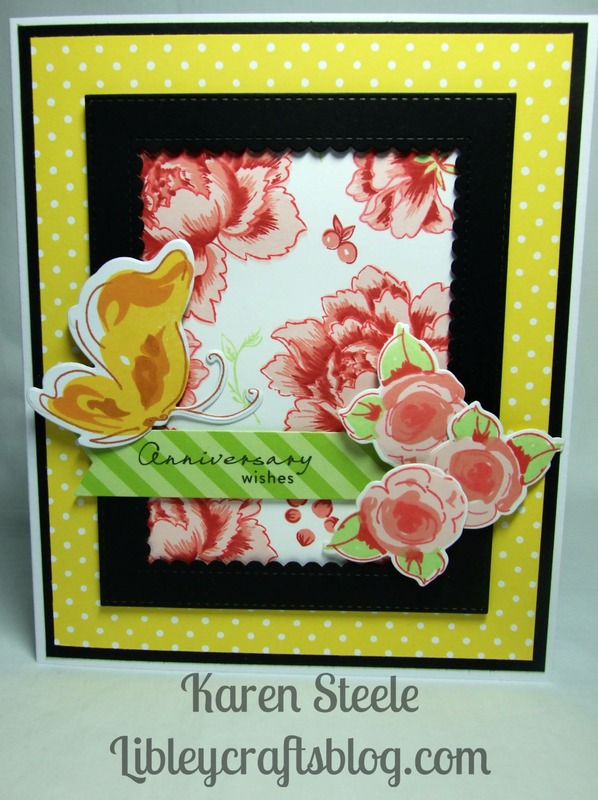 Again I have used Altenew’s Painted Flowers and Painted Butterflies stamps and dies and also the Peony Bouquet stamp set. 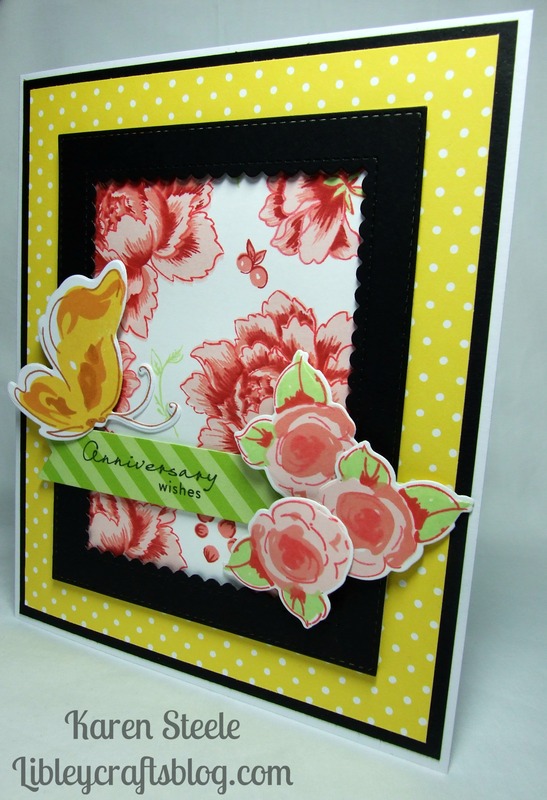 Other supplies used: Black cardstock and Patterned papers by lawn Fawn – Let’s Polka in the Meadow. Lawn Fawn’s Every day Sentiments Banner Die and sentiment stamp by Waltzingmouse Stamps – Frame It. Mama Elephant Park Avenue frame die and the following Tuxedo inkpads – Tuxedo Black and New Sprout. Red Sunset and Summer Afternoon inks from Altenew. < Previous Bokeh Best Fishes…..
Beautiful colorful Card, Karen ! Beautiful and the yellow is a great background to this one! Beautiful anniversary card, Karen! Such pretty flowers and lovely butterfly! I’m sure the recipients will love this anniversary card!! It’s great how you have combined three sets of the Altenew stamps here. It works brilliantly. Also again, I know I keep saying it but the juicy colour combinations are really your signature style I think. Of course I love it!